One of my buddies works for Santa Clara County Sheriff's Office. 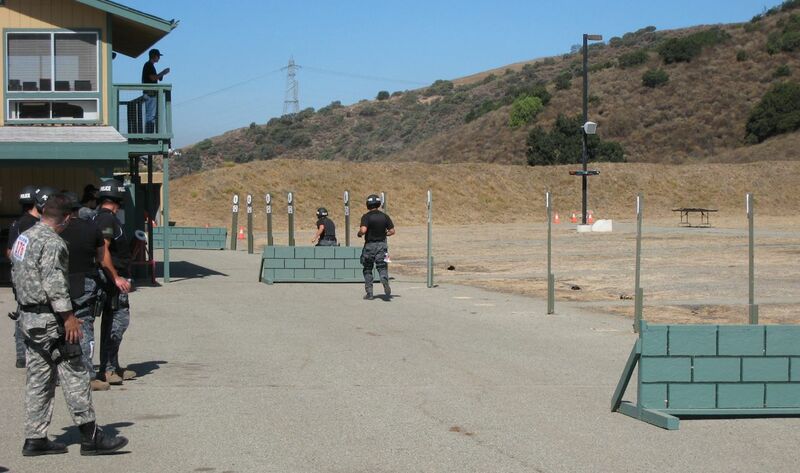 He invited me to observe the Best in the West SWAT team competition that is taking place today and tomorrow at their training facility in San Jose. 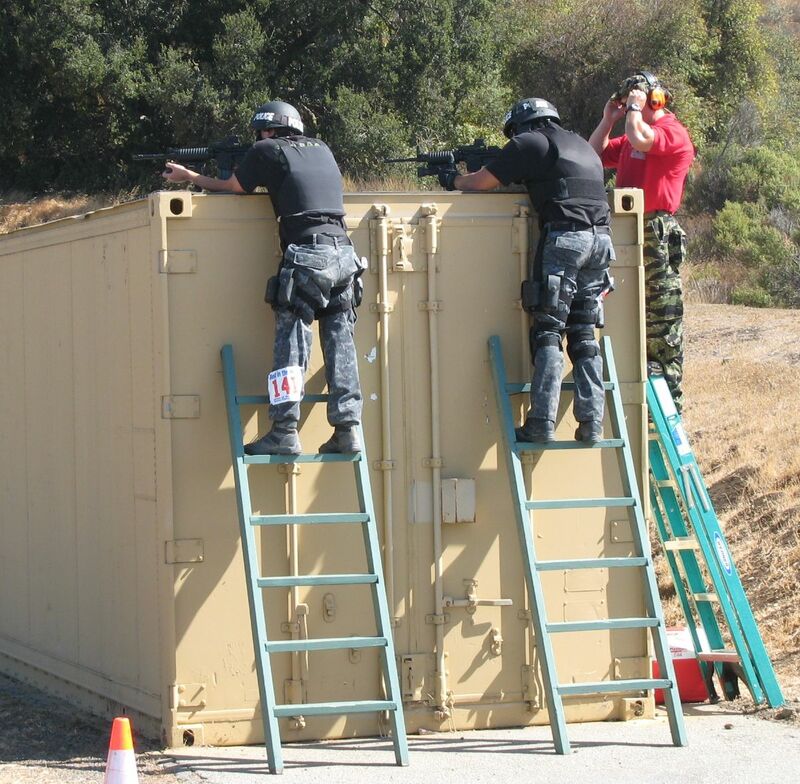 "Best in the West, created and hosted by the Santa Clara County Sheriff's Office, is the largest invitational S.W.A.T. competition in the Western United States. 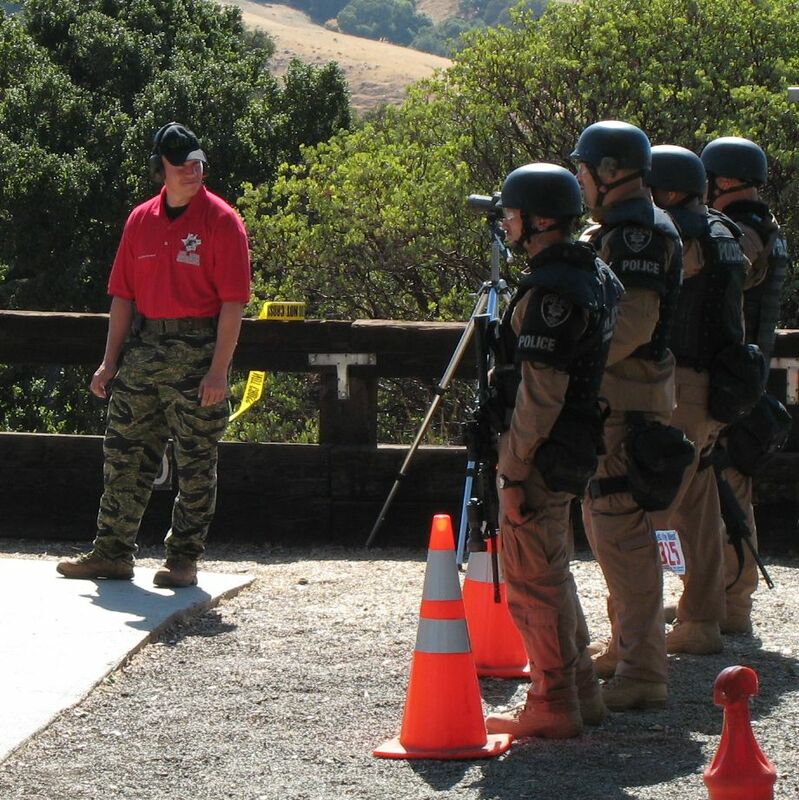 Each year, members of the departments Sheriff's Emergency Response Team design, physically construct, and run an intensive two-day, 7-course competition, pitting S.W.A.T. teams from all over the West against each other, in a multi-jurisdictional learning experience unequaled in this part of the country." You can read a bit more about the competition and the challenges involved here on their website. 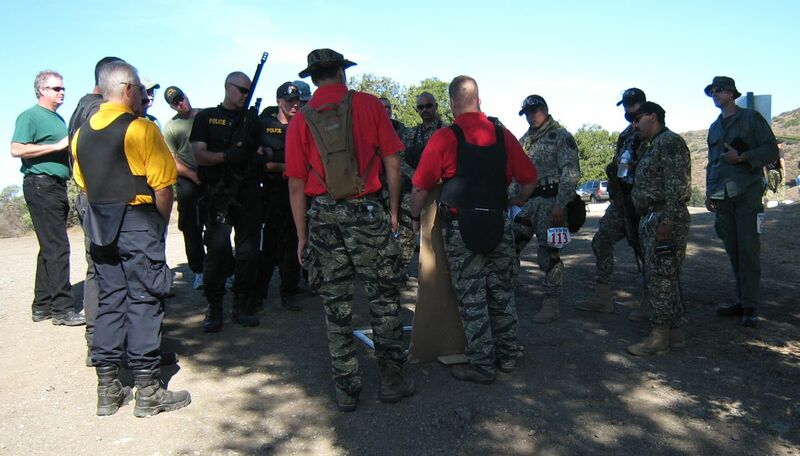 The guys with the red T-shirts work for SCCSO and run the event. Here, they explain the course of fire to one of the teams. 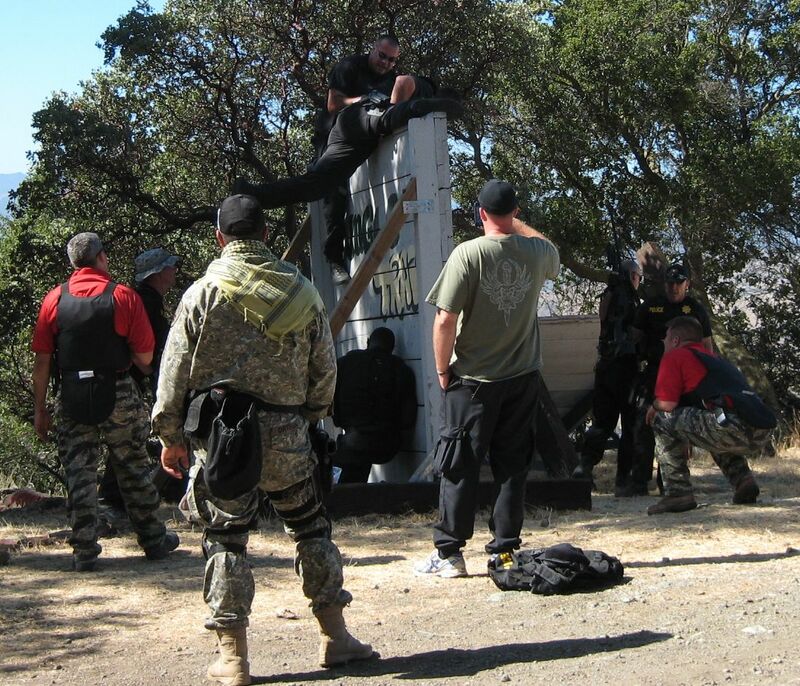 A team waiting their turn for the sniper course. 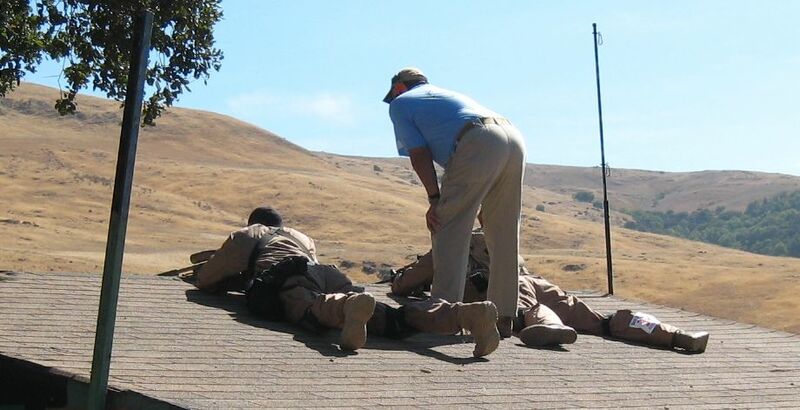 Part of the sniper course. AR on the right, bolt-action rifle with scope and suppressor on the left. Another stage of the sniper course. The jungle trail started and ended with the team having to get over this 8 foot wall. Another course: Shoot with an AR across the range at a bowling pin hanging from a wire about 100 yards away. Then a little sprint with obstacles. Followed by some paper killing with an MP5. 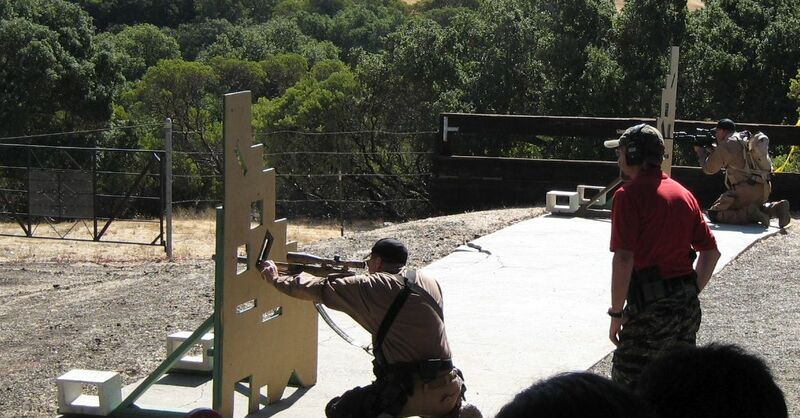 Next, some left- and right-handed barricade shotgun shooting with slugs. Finally, transition to handgun and take out the steel plates.